With a new grant award from the USAID’s American Schools and Hospitals Abroad (ASHA) program, construction of our next library is slated to begin in early 2019. The library will be built in the Kanyama community, on the southwestern outskirts of Lusaka, and will be hosted by the St. Daniel Comboni Development Centre (SDC). 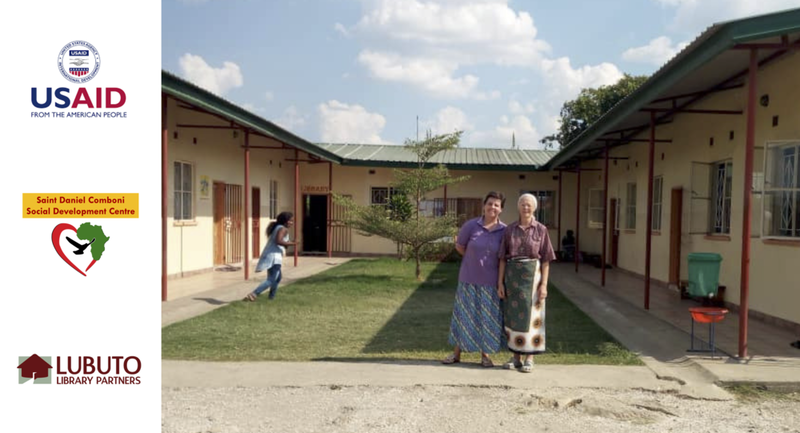 The SDC, which is operated by the Comboni Missionary Sisters Zambia, is a highly respected and well-loved institution that has been providing educational, health and psychosocial support services to vulnerable women and children in Kanyama. The center, notably, targets HIV prevention, the elimination of child labor, and support for education -- reflecting a long-term commitment to improving the quality of life of the community’s women and children. All of this is perfectly aligned with Lubuto’s programs and objectives, and creates a strong foundation for wonderful things to come. The past two years have provided a preview of some of the change that will come. Many of the programs provided by Lubuto under its DREAMS grant were offered at the SDC. They were heavily attended and extraordinarily successful. The demand and need for the programs remains strong, and the return on our investment in them has been extraordinary. With this prelude, we are really excited about Lubuto’s partnership with USAID/ASHA and the SDC. It will bring the life-changing benefits of a Lubuto library to the community’s tens of thousands of children and youth, and their families. We are expecting to welcome somewhere around 150,000 visits to the library a year. 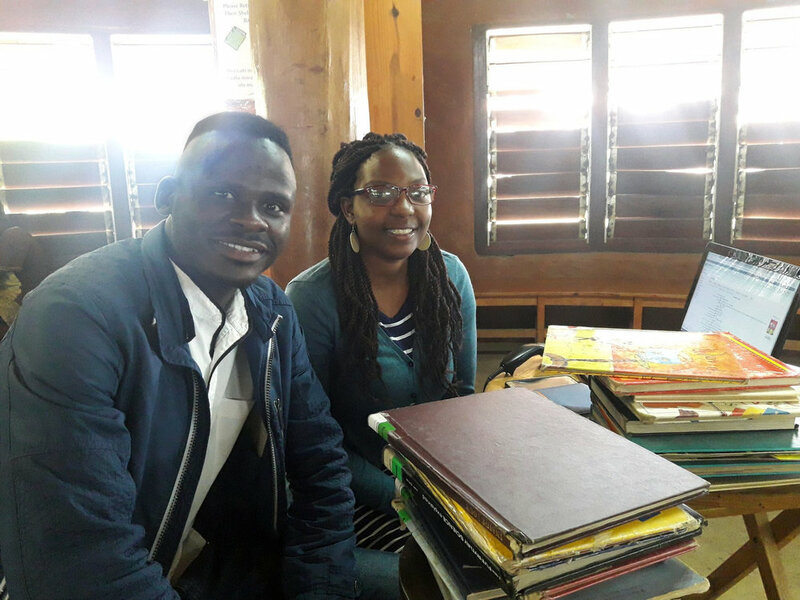 As with other Lubuto libraries, our commitment is to establishing an enduring community institution that, in addition to serving children and youth, will demonstrate how a library, in the best American tradition, can create life-changing possibilities. With this in mind, the library will support training for library professionals and educators, and the exchange of ideas with community leaders. If are reading this, you are, undoubtedly, a committed Lubuto supporter. (Thank you!) So you understand what Lubuto libraries are and why they are important. But there is nothing like a real-life story to bring home how we are helping children to find a successful way forward in life. Please read on, to learn about Jacob and how Lubuto helped him meet life’s challenges. “I grew up in a violent home. Every chance my father had he would beat my mother, and his violent behavior resulted in them separating in 2006. Even before they separated, my mother was the only one encouraging me to go to school and paying my school fees. Most of the time, my father used the money for my school fees to drink alcohol. Whenever mum objected to his behavior, he would violently hit her with anything he could lay his hands on. I hated the feeling of seeing my mother beaten right before my eyes, but because of being young and powerless, I was no match for the violent man my father was. I lived with my father and grandmother after the separation. We moved to the village where I started going to school, but I had to repeat grades because my father used money meant for school on alcohol. When my mother discovered what was going on, she decided to get me. By then I was in grade six. My mother is not in formal employment. She is a vendor who cooks in town, and she has been in the business for close to 15 years. When I moved in with her, I knew I had to work hard in school. Being an only son meant I had to one day provide for the family, and education was the way out of poverty. I passed grade nine exams and went to a boarding school in Kafue Mikasa where I took up different leadership roles from monitor, jets vice president and debate treasurer. I worked twice as much in school, to the extent that when I sat for my final exams, I was confident that I had already qualified to the University of Zambia. I started doing odd jobs in a bid to raise money for university, working in factories carrying building materials for contractors. I did these jobs behind my mother’s back because I knew she would never allow me to do such laborious work. I used to come to the library at St. Daniel Comboni, and my friend told me about the all-boys DREAMS mentorship program. I got an intake form, and I enrolled for the program. Before I joined the mentorship program, I had very low self-esteem, never had courage, and my public speaking skills were terrible. I was greatly inspired by the program facilitators who not only taught me about HIV/AIDS but also helped with my self- esteem. The facilitators helped me face my fear of public speaking by allowing me to say a few things during the mentoring sessions. They also gave me an opportunity to go live on the radio. That was one of my best experiences. Jacob applied to the University of Zambia and was accepted on a government scholarship to pursue his degree. He wants to be a medical doctor and to take care of his mother and sisters. Jane has been invited to join a panel at the Woodrow Wilson Center in Washington, DC to discuss emerging lessons from the DREAMS Innovation Challenge. The meeting, which will take place on December 11th from 9:30 to 11:30, will look at best practices and preliminary findings from the recently-ended program that supported 46 grantees in 10 countries in testing innovative solutions aimed at reducing HIV infections among adolescent girls and young women in sub-Saharan Africa. The event—organized by the Wilson Center’s Maternal Health Initiative and World Vision, Inc.—will be available via live webcast. Click here to learn more and RSVP to attend either in person or electronically. 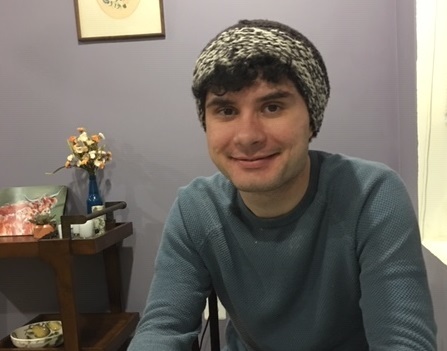 The November Volunteer of the Month is Dylan Knaggs, whose volunteer work for Lubuto in Zambia and now back in the U.S. has expanded and improved our data collection systems. Click here to learn more about Dylan’s wonderful contributions to Lubuto. Lubuto Library Partners is a registered 501(c)3 organization (EIN 13-4294962). We invite you to check up on us before donating by finding out more about us on Guidestar, the most trusted guide to non-profits on the Internet.